Yesterday evening Marvel head honchos Axel Alonso and Tom Brevoort dropped a news-bomb when they held a press conference in New York and announced that during Secret Wars, Marvel’s mega summer event, the Marvel Universe will change in ways some fans already speculated about: the 616 Universe will merge with the Ultimate Universe! The 616 Universe is the main Marvel Universe, the one that has been around since 1961. The Ultimate Universe is the alternative universe that was started in 2000 to give creators a way to give certain characters an updated, modern look and new personalities without all the weight of decades long back stories. It has now been announced that these two major universes will join together, and that will change the future of our beloved Marvel Universe and it’s characters drastically. But how will this happen? Jonathan Hickman, Marvel’s Secret Wars leader, has weaved a story line for the last two years through both his Avengers titles “Avengers” and “New Avengers” that are dealing with so called incursions. These regularly bring the 616 earth into collision course with a parallel earth. If both planets die, both universes die, if only one earth perishes both universes are safe (apart from the blown up blue planet that is). So, it is save to say that the Illuminati in New Avengers (led by Tony Stark) got their hands mighty dirty during those incursions. But what happens when the 616 Universe meets the Ultimate Universe in one of those incursions and the Avengers are unable to stop it from happening? Well, it looks like Battleworld will be the exciting result. The final issues of Hickman’s Avengers and New Avengers are going to build up this last incursion and directly lead into Secret Wars. 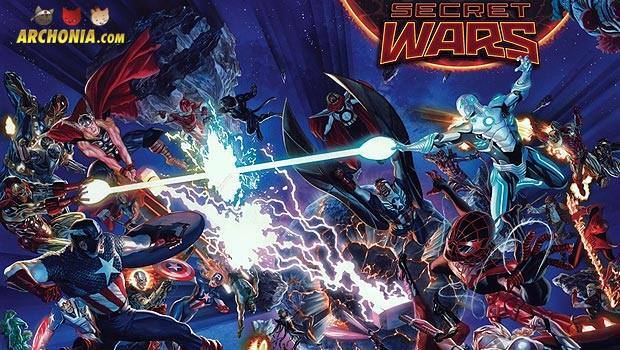 All of the already revealed Secret Wars teasers (there are reportedly plenty more to come), which promised new spins on old story lines like “Civil War” or “Old Man Logan”, represent parts of this new Marvel Universe which will all be tied in stories that replace the current ongoing books for that time. 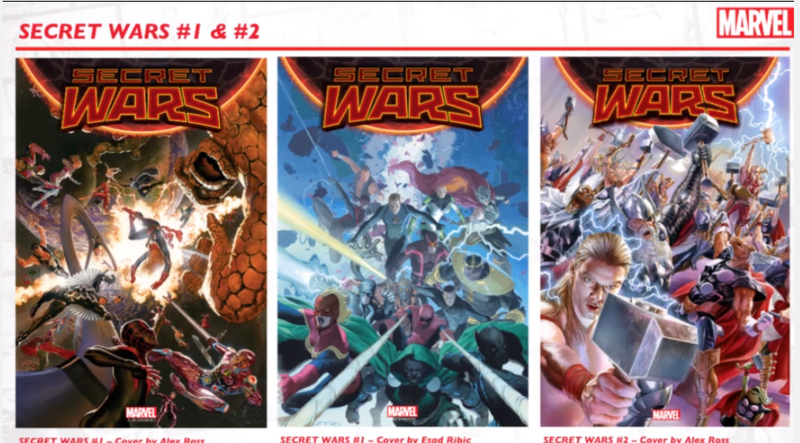 Brevoort added that Marvel’s Free Comic Book Day issue, Secret Wars #0 written by Hickman, will bring readers “up to speed” for the event before it begins in May with Secret Wars #1 and an oversized issue #2. When asked if this is a reboot, just like DC’s New 52, it was said that Marvel will build onto existing continuity with this and not erase it to solve a problem. Sounds very exciting and we are already thrilled to see how all of this is going to turn out! What do you think? 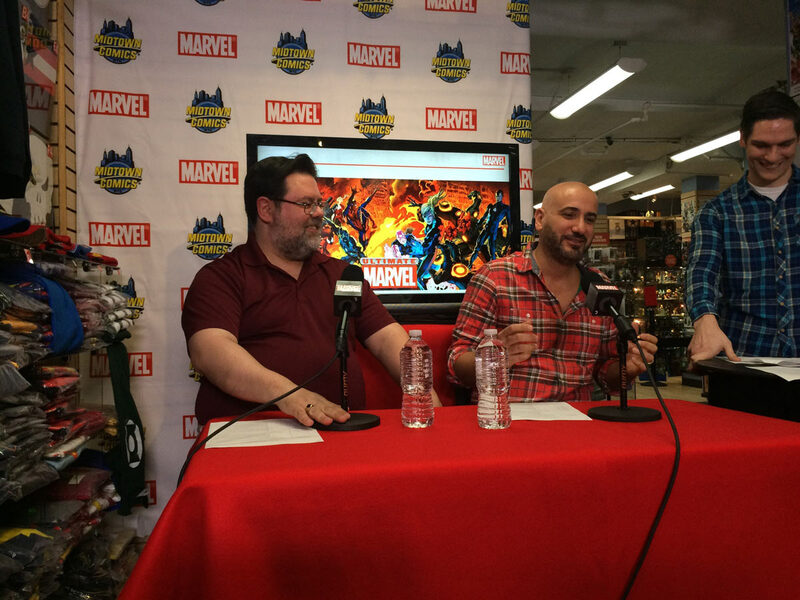 Previous Post : The real reasons for Captain America: Civil War Next Post : Geekly News Round-up! Last weeks headlines you can’t miss!